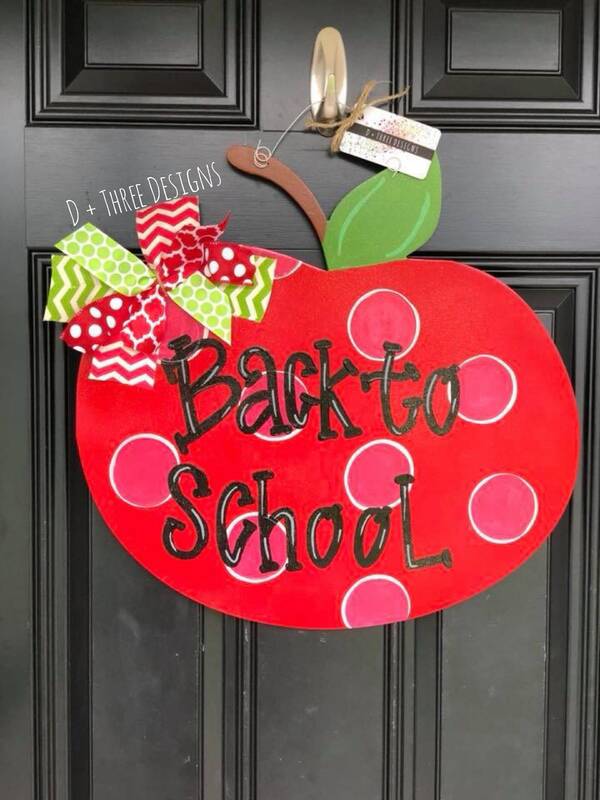 This red festive wooden apple door hanger measures around 20” and comes with your choice of wording. This is made on 1/2 birch wood, hand painted, and sealed. Please put the wording you would like in the "notes to seller" box upon check out. We are happy to accommodate your requests!